Los portátiles para el mundo de los negocios no pueden permitirse el lujo de mostrar debilidades o detalles mal acabados. Cualquier anomalía puede suponer la diferencia entre cerrar una operación comercial o perder un viaje de trabajo. Lenovo, consciente de esta demanda de equipos fiables, resistentes y con un funcionamiento impecable, sigue renovando los modelos de gamas como la T, sucesora de los modelos IBM Thinkpad. The Lenovo ThinkPad T410s is an interesting notebook acting as a stopgap between the smaller 13.3" ultraportable X301 and the full-size 14.1-inch T410. With a super thin body that still retains its optical drive the T410s gives you most features of the larger T410 minus about 2lbs of extra bulk. With that weight savings you lose the extended 9-cell battery, faster GPU and CPU options, and wider range of compatible hard drives. For most business clients this wouldn't be a problem since weight can be a huge factor when looking at a notebook. Overall some areas could have been better, like the 4+ hours of battery life where the previous version managed almost 6, and the lackluster screen with a poor contrast ratio. Users looking for the best possible battery life-as well as higher performance-should really consider the SSD upgrade, as the 1.8-inch hard drive left us asking for more. In the end with the right options the T410s can be one of the perfect business companions with almost all the features of the larger ThinkPad T410. The Lenovo Thinkpad T400s range sells for Rs. 90,000. It also comes with three years' warranty. At that price, it's not targeted at the budget-conscious businessperson who will be buying the Dell Vostro V13 or the HP ProBook 4520s. Instead, the Lenovo Thinkpad T400s attracts small, medium business and enterprise customers who are interested in a robust, rugged, light, slim, easy-to-carry 14-inch laptop that offers decent performance, has a very good keyboard-touchpad combo, and comes with useful proprietary software to better manage their laptop and secure the data on it. With the release of Windows 7 and its inbuilt support for multitouch input and gestures, touch-screen computing is gathering steam. 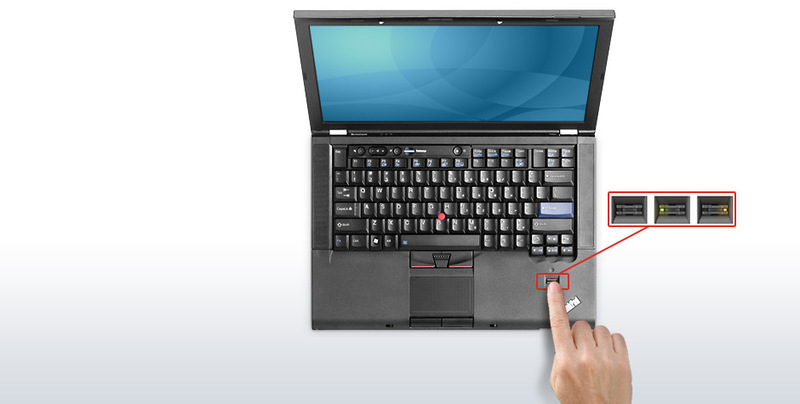 The touch screen on the Lenovo ThinkPad T400s Multitouch is responsive and accurate. It's not just a novelty; it can actually be useful if you're a photographer or designer. We also love the keyboard and build quality of the T400s laptop, but wish the location of some of the ports was more convenient. There's a lot to like when it comes to Lenovo's multi-touch ThinkPad T400s. Build quality is about as good as it gets, and both the keyboard and trackpad are of a very high standard. With a quick Intel Core 2 Duo processor and a solid-state drive at the helm, all-round system responsiveness is excellent. Coupled with near-silent operation and an ultra-thin form factor, it's almost a business masterclass. Lenovo has been producing some excellent low-priced models in recent times. Part of the excellence is the traditional IBM keyboard, which provides for comfortable all-day computing. At the very top-end of the market, Lenovo has also been producing top-notch machines, including the W700ds that took our Labs Winner and A-list awards in last issue's Ultimate Laptops group test. So we were keen to see how the mid-range T400s would perform. The Lenovo ThinkPad T400s is one of the first Windows 7 notebooks to have a multi touch display, and it’s fast at running most productivity applications. It has the signature ThinkPad look and solid build, a great keyboard and a good camera for web conferencing. Though not the center of the design for a business notebook, the multi touch feature shows lots of potential and the Lenovo SimpleTap interface demonstrates that well. The ThinkPad has great power for video and music playback. We highly recommend that you get the SSD option for fast OS tasks and multimedia. If you don’t need the multi touch screen however, get the other model in the T400s series that’s a few hundred bucks less. The Lenovo T400s Thinkpad is a sturdy business notebook for a high-flying executive or businessman that needs the protection and connectivity options that it offers. The most important thing in a computer is the data and the sturdy casing is capable of protecting this important asset. The video output and display controls will be handy during a presentation. And the varied connectivity options allows the user to stay connected to the Internet. The only grouse is, with the high price, it should have included a dedicated graphics chip. 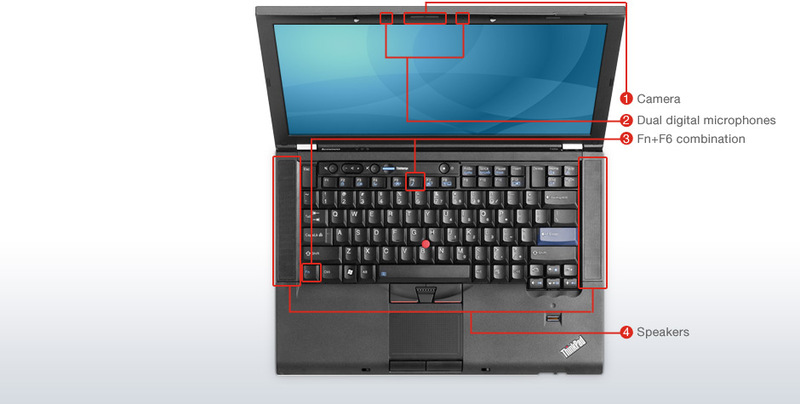 Overall, the Lenovo T400s Thinkpad is a tough machine and it excels at everything an executive would need of it. The Lenovo ThinkPad T400s (Multitouch) ($2,395 direct) incites lust among business users. It has the Lenovo ThinkPad X301's exquisitely thin dimensions, but offers a 14-inch LED widescreen. It's the lightest business laptop in its class—and that's with an internal optical drive. The latest edition (and bear in mind that this is not a convertible tablet) incorporates a multitouch screen that allows you to use one or several fingers to navigate the screen. The Lenovo ThinkPad T400s (Multitouch), a big-screen version of the ThinkPad X300 commands the same kind of awe, and now has multitouch capability. 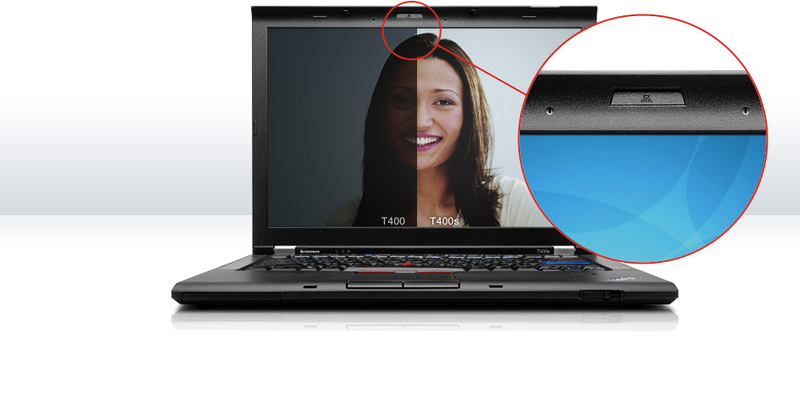 The Lenovo ThinkPad T400s Touch is a very cool idea, bringing a touch interface to a standard notebook. It gives users the capability to interact with the computer on a much more natural level and has huge potential for CAD applications or even messing around while surfing the web. The only problem right now that I see is that it was added to an already expensive model, putting it well out of reach for most users. Adding it on the base T400, which starts $749, instead of the T400s which starts at $1,599 would have been the better choice. Besides some preproduction quirks we saw it was a good implementation that didn't even affect battery life. If you are looking at the T400s currently, and could expand the budget by $400, it might be worth adding to the notebook for future uses. Lenovo's ThinkPad brand is virtually synonymous with business laptops, and the company (like IBM before it) has spent years perfecting the nondescript black-box system, with its iconic TrackPoint and double set of mouse buttons. We liked the 14-inch T400s ("s" for "slim") when we first saw it earlier this year (see that review), as it shaved some thickness and weight off the older T400 model. Now Lenovo is offering an enhanced version of the T400s, adding a multitouch touch screen and some custom touch-screen software. A revamped version of Lenovo's slim ThinkPad T400s adds an innovative touch-screen package to the first Windows 7 laptop we've reviewed. This touch-enabled business notebook performs well, but it carries a hefty premium. The Lenovo ThinkPad T400s with touch packs the same groundbreaking performance as its nontouch sibling, and combines a responsive capacitive screen with simple but effective touch software. That said, we don’t think the significant increase in bulk and price are worth it for the average business user. If you plan to use a touch-specific app like SpaceClaim, it might make sense to pay the $400 premium and learn to live with the added weight and thickness. However, if you mostly use your notebook for Office apps and the Web, you’re better off with the original ThinkPad T400s. Not too long ago, we raved about the Lenovo ThinkPad T400s, the thinnest, lightest—and in our opinion, best—14.1-inch thin-and-light notebook on the market. 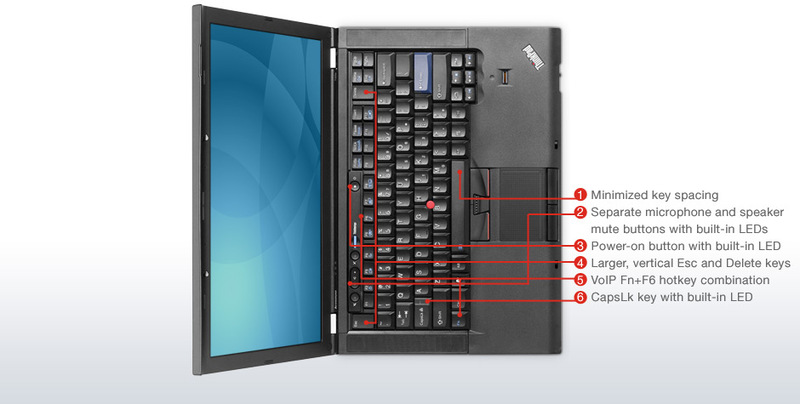 Now Lenovo has followed up that model with the ThinkPad T400s Multi-Touch. Set to debut with the launch of Windows 7 in October, the T400s Multi-Touch adds a touch screen to take advantage of the new operating system’s native touch-computing abilities. Add in a handy touch-enabled utility by Lenovo, and the ThinkPad T400s Multi-Touch delivers everything we loved about the original, and then some. Mobile professionals, exult: Windows 7 and advanced touch-screen capabilities make the best business thin-and-light on the market even better. In terms of performance the T400s is a solid machine thanks to its 2.4GHz dual-core CPU, 2Gbytes of DDR3 memory and quick, not to mention large, 120Gbyte SSD drive. These components helped the Lenovo score very well in our PCMark Vantage tests. For starters it returned a high Productivity suite score of 8074, while the Main score of 5248 was also very impressive, as were all the other test numbers. Owning to the rather basic onboard video however, the T400s isn’t exactly a graphics powerhouse. A well rounded business notebook that is only held back by its higher than average end user price. Nobody does notebooks better. Most of the time Lenovo makes solidly capable systems, whether style-conscious consumer models like the IdeaPad Y450 or corporate fleet fodder like the ThinkPad T400 and T500. But every so often, Lenovo lets its engineers loose on a showpiece and we end up swooning like schoolgirls at a Jonas Brothers concert. Fourteen months ago, it was the 13.3-inch ThinkPad X300/X301, and we gushed, "Best notebook ever." Now it's the 14.1-inch ThinkPad T400s. Brace yourself. The s stands for swoon. 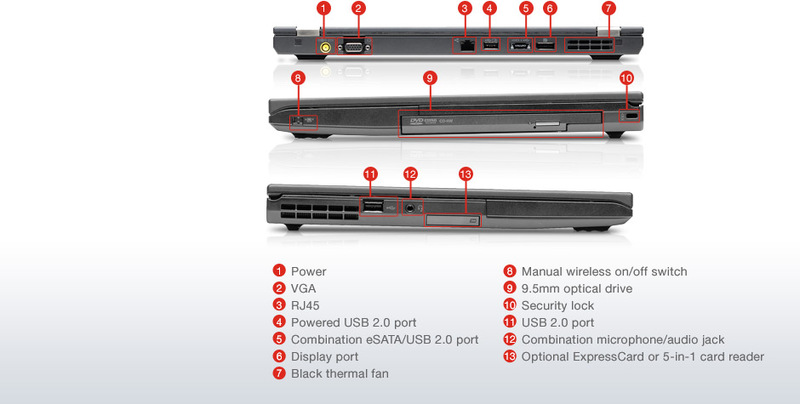 All told, the T400s is simply another of the simply exceptional notebooks that Lenovo produces on a regular basis. The older, chunkier ThinkPad T400 is still available starting at $749, but if your company gives you one your boss is either on a tight budget or doesn't like you very much. When a big company feels inclined to mess with a classic, it had better get it right—just ask Coca-Cola. Lenovo has introduced a new version of its iconic T-series, the best-selling business laptop series ever and the progenitor of the “thin-and-light” portable category. The ThinkPad T400s has a starting price of $1,599. That’s no budget entry, but given the standard features, the price is reasonable. If you travel frequently and want the thinnest, lightest no-compromises laptop available, the T400s is worth every penny. The wheels were set in motion for the advent of the ThinkPad T400s ($1,995 direct) the minute Lenovo launched the ThinkPad X300 (and subsequently, the X301). A larger version of that highly sought-after 13-inch business ultraportable was the next logical step. At the same time, though, the flagship ThinkPad T400 desperately needed an update, so it's fitting their paths would intersect. Lenovo just added an "s" to the model name, but the system changes are dramatic. The ThinkPad T400s takes the X300's exquisitely thin dimensions and widens them with a 14-inch LED widescreen. The Lenovo ThinkPad T400s is a big-screen iteration of the ThinkPad X300 and commands the same kind of awe. The ThinkPad T400s delivers as well as, or in some cases better than, previous ThinkPads. It should also set the standard for 14-inch widescreen notebooks in the industry and show up most competitors, even if the pricing is not entirely comparable. Performance is snappy as ever and the T400s has nearly every feature in the book, even adding a few new ones that will hopefully become more common. Although Lenovo has been reinventing itself as of late with its IdeaPad and Netbook lines, they're still a company known for boxy, business-end ThinkPads. There's no shame there: the ThinkPad was revolutionary in its time, and the iconic (if plain) design defined the modern business laptop. It also put Lenovo on the map after taking the brand over from IBM. 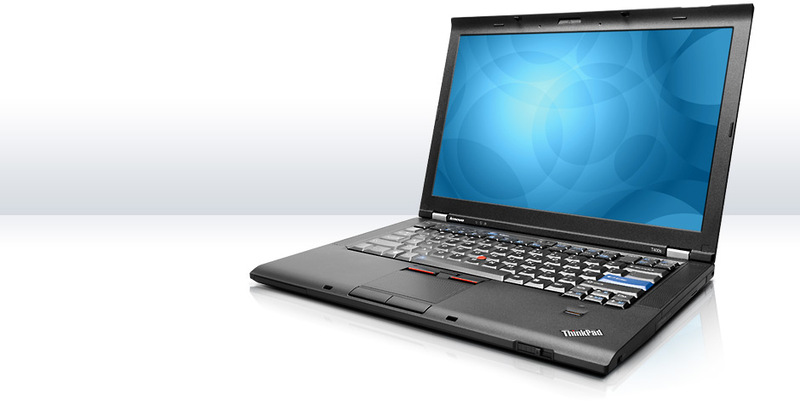 The T400s is the lightest 14-inch ThinkPad yet from Lenovo--just be ready to pay for the convenience. The Lenovo ThinkPad T400s (the "s" could stand for "small" or even "surprising") is an evolutionary step up from the ThinkPad T400, which is itself a good all-purpose business laptop. Thanks to sturdy construction and great performance packed inside a slim profile, the T400s is a winner, and great for the jet-setter who wants a little more out of their mobile machine. With the T400s laptop, Lenovo proves that size matters by heaping on features, cutting the girth, and building a lean, mean business machine. Starting at $1599, the Lenovo ThinkPad T400s can be a compelling little laptop. Of course, once you start adding all the bells and whistles, the price kicks up significantly (our model, as reviewed, sells for $2130). Still, thanks to sturdy construction and great performance packed inside a slim profile, the T400s is a winner, and great for the jet-setter who wants a little more out of their mobile machine. Lenovo's new ThinkPad T400s business laptop is their smallest and lightest of the T series and borders on the territory of their ultraportable X series. Weighing just 3.9 pounds and less than an inch thick, this is a system that can be taken just about anywhere. With its wide range of networking options, strong performance and excellent durability, it makes a superb laptop for the business traveler who doesn't want to sacrifice features with an ultraportable. About the only drawbacks are the fairly high $1599 starting price and the lack of a dedicated graphics. Overall, Lenovo did a great job of getting the best selling ThinkPad, the T400, and refining the design while shaving off some weight. Some ThinkPad purists will have complaints, but we should take notice that the red LED light is gone from the lid (it was very unThinkPad) and all the design changes are in line with what businesses expect from a T series notebook (for example, no titanium lid). Buyers will have to consider the lack of discrete graphics and limited options with the processor, as well as the use of a 1.8-inch disk, but you still have the optical drive, a great keyboard, and very nice build quality. For that person that needs a T series, but travels a lot or just wants to save some weight, the T400s will be an excellent option. Realizing business users will also value wireless connectivity and VoIP communications, Lenovo well equipped this notebook with a two megapixel camera for better quality images, better, louder speakers than were found on the T400, and a range of wireless connectivity options. To help reduce ambient noise, Lenovo also added dual digital microphones as well as separate speaker and microphone mute buttons with LED lights to indicate which button is on. Overall, Lenovo’s new T400s offers many advantages over previous models. If a thin and light notebook is on your wish list, and extreme graphics performance isn’t a must-have feature, then the T400s is absolutely a worthy contender. Retailing at a starting price of US$1500 (~S$2185) for the base models, the ThinkPad T400s is priced low enough to compete with the other similar portable business notebooks in the market. Bear in mind though, the higher end models (which is similar to our review unit's configuration) will definitely be priced much higher, especially when you factor in a sizable SSD drive. Overall, the Lenovo ThinkPad T400s is a well built and portable business notebook that can stand up to whatever duty calls for and as such we're giving this unit our Editor's Choice award. Just watch out for the possible excessive price tag if you want to match up to the specifications of our test notebook. Of course, for many enterprise users it’s Windows or nothing, and as long as you’re not expecting to do any major video crunching the T400s should prove a highly capable machine. The extra screen space, more powerful processor and improved port selection above the T301 come with a relatively minor bulk and weight increase, which the sober casing hides well. We can’t help but wish that the 9-cell battery option of the T400 was available, but the ability to hot-swap the optical drive for a second battery (or a second hard-drive) goes a long way to making up for it. No other 14-inch business notebook can beat this new ThinkPad’s combination of performance and portability. The Lenovo ThinkPad T400s is no bargain, but if you want an incredibly powerful business notebook in a remarkably thin design, it’s worth every penny. This system’s sleek looks, top-notch keyboard, blindingly fast performance, and durable chassis allow the T400s to earn an Editors’ Choice Award. This system would be even more compelling if it offered longer endurance without an extra battery, but most users will find its better-than-average runtime more than adequate. As always with the ThinkPad family, the ThinkPad T400s is designed primarily with business users in mind. But savvy consumers who want the ultimate 14-inch thin-and-light should also take a close look, especially if you can keep the price closer to the $1,599 base. It is, quite simply, the most portable and all-around best mainstream laptop money can buy. Lenovo worked its magic on the company’s stalwart T-series, creating the lightest 14.1-inch laptop on the market. Business buyers and discriminating consumers will appreciate this thin-tech showcase. SP9400: El Intel Core 2 Duo SP9400 es un CPU para portátiles con el cache de 6MB de nivel 2 en 2,4 GHz y un TDP de apenas 25 Watt. 83.73%: Esta evaluación es para ser considerada como promedio, porque la cantidad de portátiles con mejores evaluaciones es casi la misma que la cantidad con evaluaciones peores.